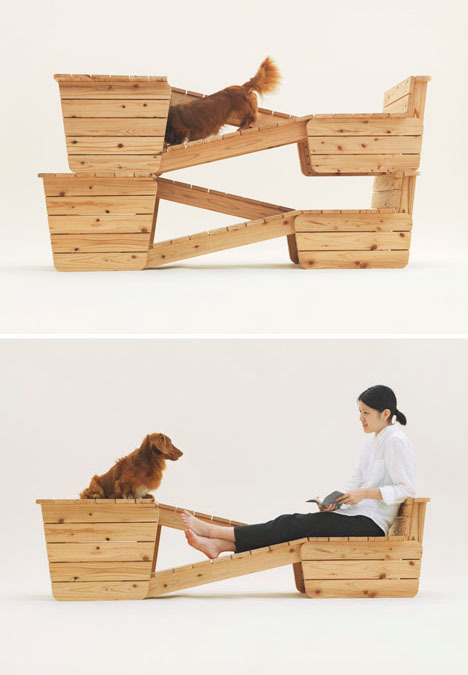 Famous architects have been known to dabble in other design disciplines, from furniture and interiors to products and packaging, but what happens when you task international icons like MVRDV and Toyo Ito with creating buildings for man’s best friend? 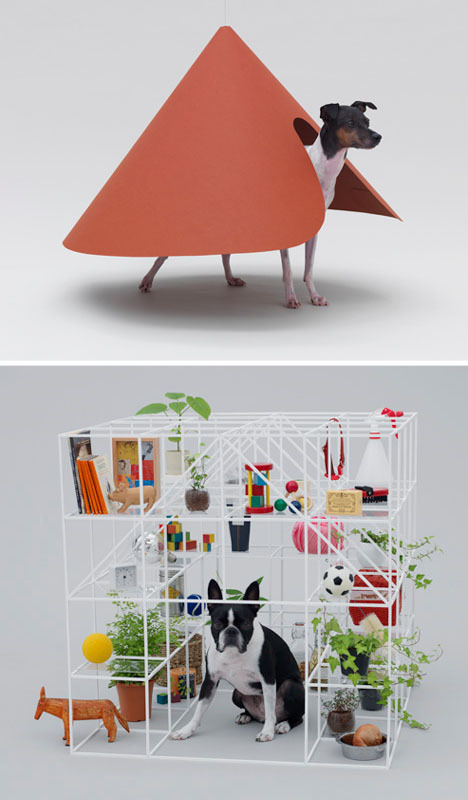 Beyond the cute facade of these canine dwellings, organized by Kenya Hara (images by Hiroshi Yoda), is a broader purpose: to provide free plans to pet owners who wish to replicate these structures in their own home. 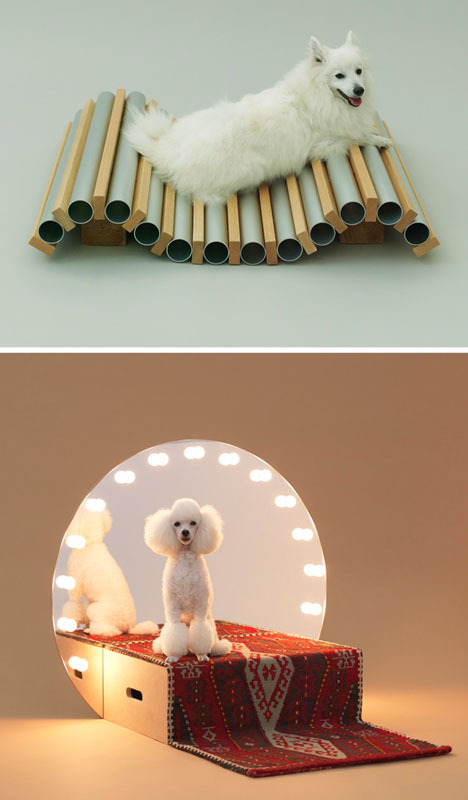 Konstantin Grcic also plays to a particular breed – the poodle, famous for identifying its own reflection (and popularly known as a posh bread of puppy – perhaps reflecting the vanity of certain owners), gets its own light-up, dressing-room-style mirror to bask by. 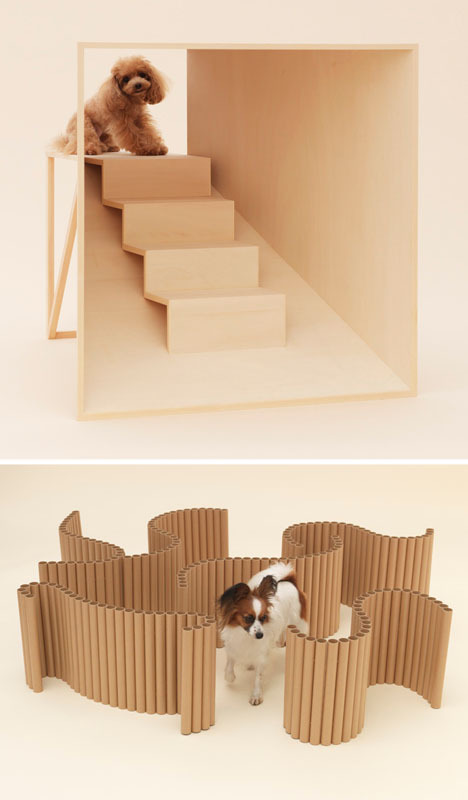 Shigeru Ban, ever the fan of corrugated cardboard, has scaled down his approach to make a series of dog-sized space dividers. 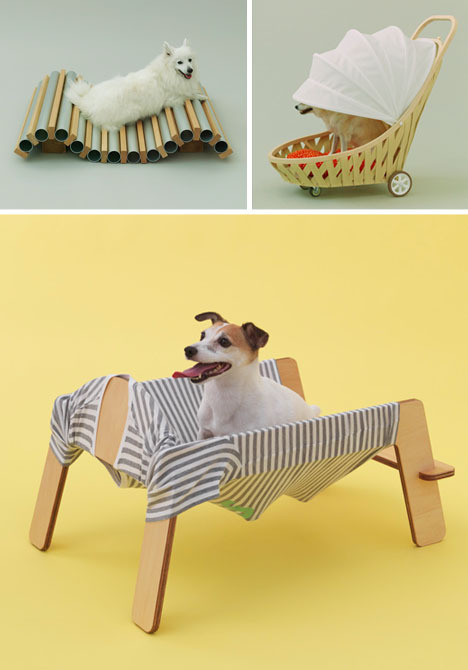 Atelier Bow-Wow also had a specific species in mind for their creation: a ramp for smaller dogs that have difficulty walking up stairs or steep slopes, and which leads up to a level that allows them to sit face to face with their owner. 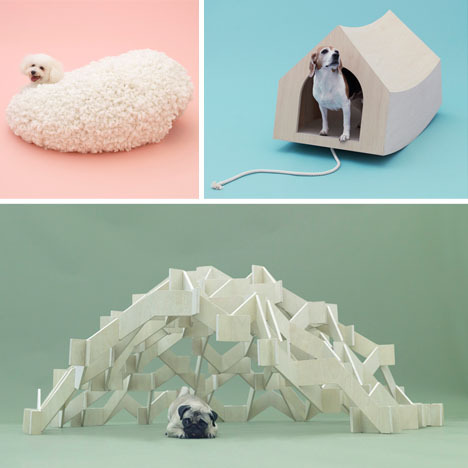 Other designs include mobile shelters, or roofs that serve as climbable landscapes, some patterned around a given type of dog and others based on the broader nature of the species.